tour groups and business travellers. 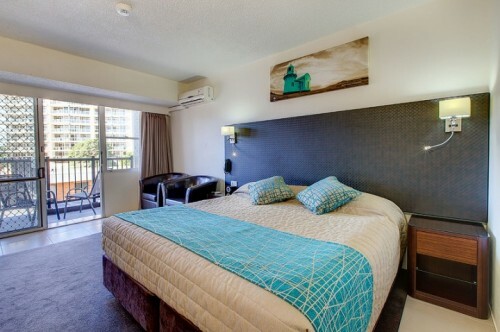 Our air-conditioned, non-smoking rooms are equipped with everything you’ll need to enjoy your stay – FREE breakfast, FREE Wi-Fi, 42 inch LCD TV, free local and national phone calls, tea and coffee, iron and mini bar. Relax in our pool and BBQ area, enjoy a meal in our restaurant and walk along the river to shops, cafes, the Glasshouse and local beaches. Free breakfast and free Wi-Fi. 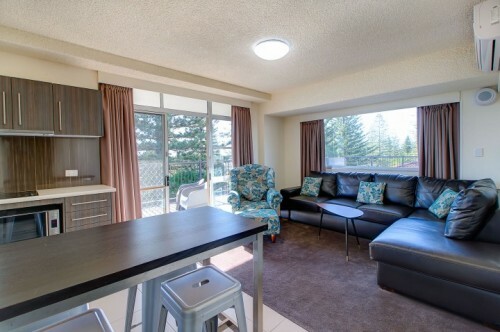 Two bedroom renovated suite on first floor overlooking the pool and courtyard. Queen bed in main room plus Queen bed and Single bed in an extra room. Sleeps up to five in comfort. Free breakfast and free Wi-Fi. 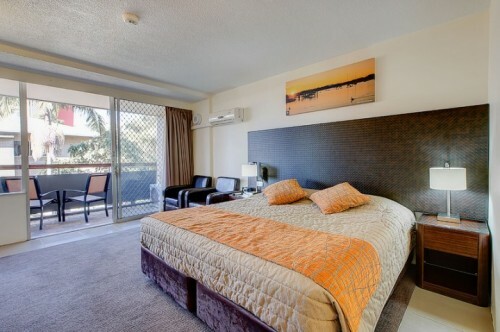 Renovated room with Queen bed and Single bed, accommodating 3. Some rooms have parking outside door, others offer a private balcony and elevator access. All include office area. Free breakfast and free Wi-Fi. 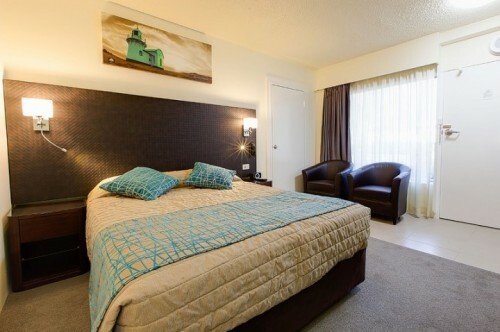 Relax in luxury and work in comfort in a completely renovated room with new King size bed, office area, private balcony in most rooms and elevator access. Free breakfast and free Wi-Fi. 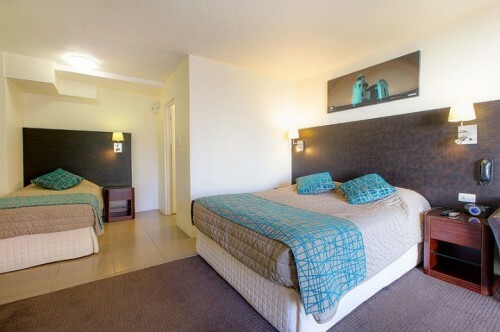 Spacious renovated room with King bed, in-room spa for two with your own private balcony and elevator access. Free breakfast and free Wi-Fi. Three bedroom luxury renovated apartment with Full kitchen and living area, plus a large private balcony overlooking the courtyard and pool. 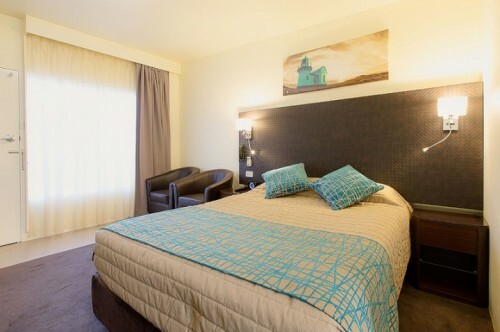 With a King size bed in one room, a Queen bed in another room and two single beds in the last room it is ideal for families of six and longer stays. Free breakfast and free Wi-Fi. 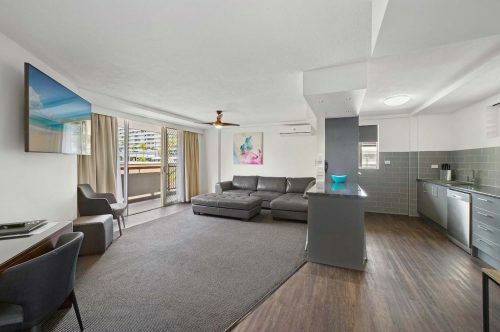 Two-bedroom renovated suite with great views from the deck across the Hastings River. 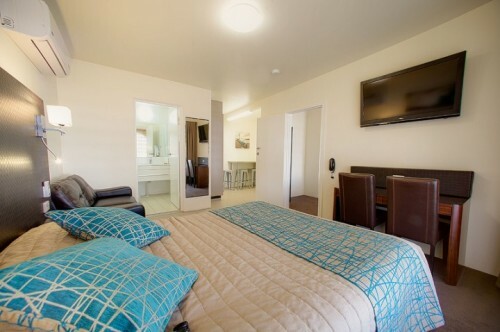 A King bed and TV in the main bedroom, and a Queen and Single bed in the second bedroom. Includes a separate lounge and full kitchen with microwave. Sleeps up to 5 in comfort.